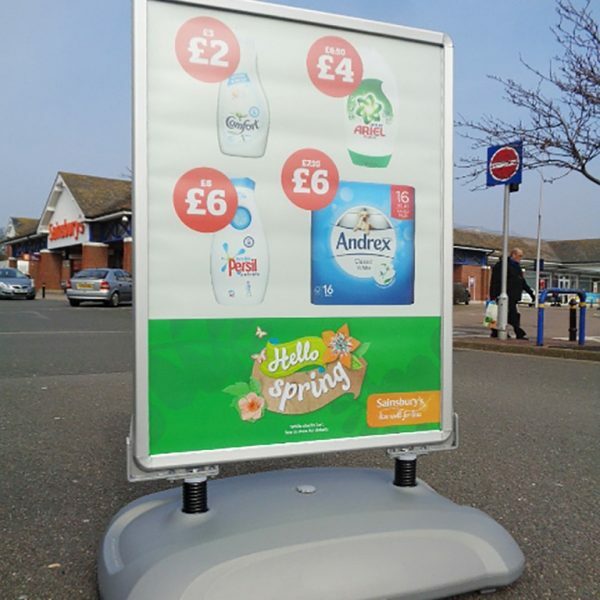 Pavement signs of various forms have proved to be a popular and effective means of drawing attention to promotions, business premises and products. 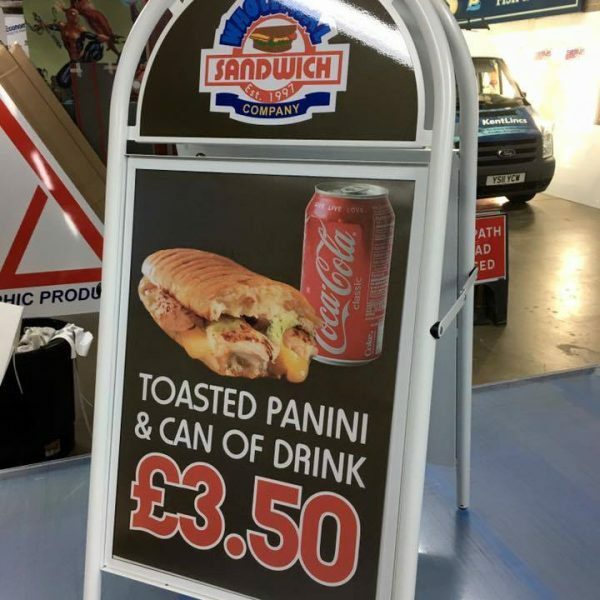 Pavement signs are flexible in that they are suitable for internal or external use and can be moved into the most convenient positions to highlight your message, capturing passing traffic from both directions. 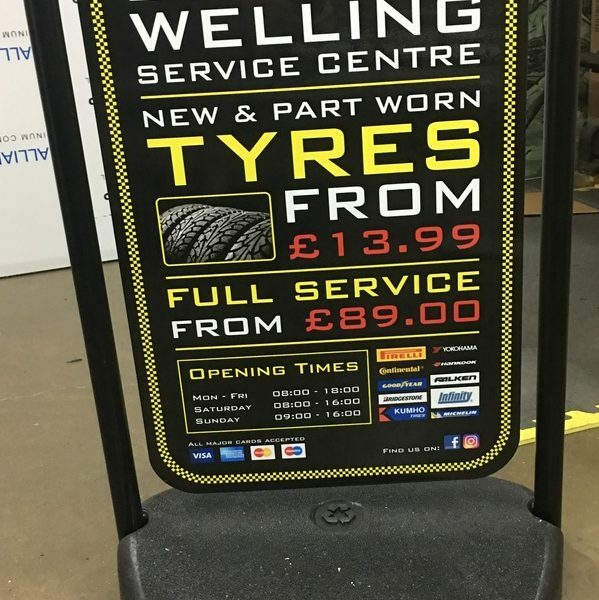 Whether located indoors or outside in the extremes of British weather there is a pavement sign to suit your business. 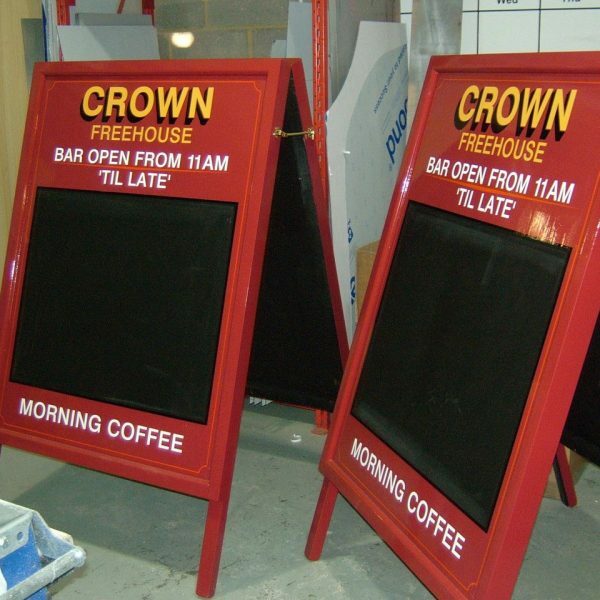 Grab the attention of your customers by getting one of our professional pavement signs to promote your business and draw customers to you.